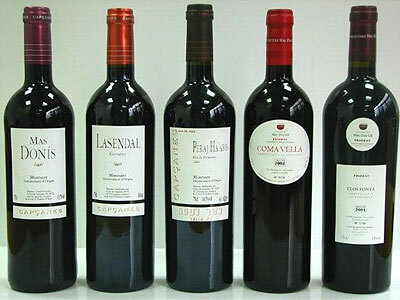 The Priorat wines are one of the finest in Spain, and they make up a good part of the exportation of Spanish wines. Priorat is mostly known for its red wines, but they also produce fine white wines. The history of the Priorat wines is one of the few that didn't start with the Phoenicians. It was 1146 when Ramón Berenguer IV transferred the Siruana valley to Berenguer Arnau, which later was acquired by Albert de Castellvell. Together with the Spanish king Alfonso I, they passed the lands to the Carthusian monks of the Saint Bruno order so they could build a monastery. Legend says these lands were chosen by the monks because a shepherd saw in his dreams a long ladder going up to the sky from these same lands. Thus, the Carthusian monastery of Scala Dei (Ladder to God) was founded in 1163, which is when wine was introduced in the Priorat region. The prior of Scala Dei ruled over the seven villages close to the monastery as a feudal lord, which gave the area the name of Priorat. In 1835, after the monks had been tending the vineyards for over 600 years, the lands were expropriated by the state and distributed. The Carthusian Scala Dei monastery still stands, and visiting it is a must if you want a complete Spanish immersion in wine making history. By this time, the Priorat vineyards spanned along 12000 acres, but the phylloxera plague arrived in the area around the second half of the 19th century and destroyed all the plantations. Some were replanted, but following the regular course of action, most were reconverted in orchards or olive groves. Since the real economic drive had been wine, after the plague it was impossible to defer an economic disaster and people started emigrating to richer regions so the Priorat area was left almost depopulated. 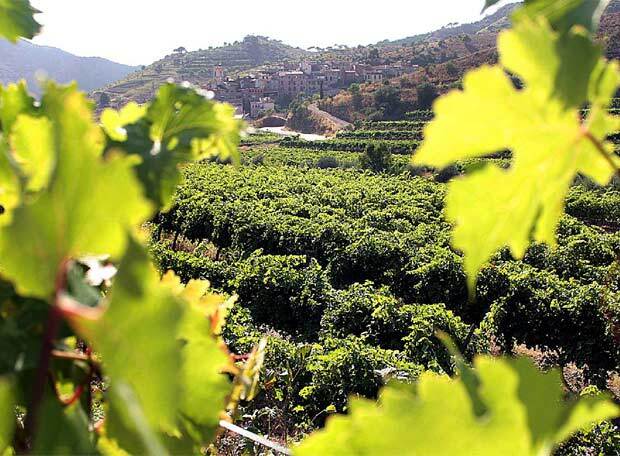 The "Estatuto del Vino" (wine laws) issued by the Spanish Ministry of Agriculture in 1932 established the Priorat region as a place capable of producing world class wines, and recognized it as a land to protect. However, the political and social situation of Spain during the 1930s wasn't the best: there was a Civil War going on and Priorat, on the Republican side, was being quite neglected. When the Civil War was over, the first regulation of the Priorat wines was issued. It was 1954 and DO Priorat had officially been born. After the designation of origin had been established, the vineyards in the Priorat region were controlled by wine making cooperatives who were intent on restoring the Priorat region to its past splendor. René Barbier, wine maker, is responsible for the first real Priorat wines. He was convinced of the potential of this region, and in 1979 he bought some lands. When he arrived, there were only around 1500 acres of vineyards, but he prompted some other wine makers (like Álvaro Palacios, with whom he'd worked before) to follow his example and plant some new vineyards in other areas of the Priorat. These were all called Clos. For the first three vintages (1989-1991) all the wineries in the area joined their grapes, shared a winery and came out with one wine sold under five labels. From 1992 onwards they started producing their wines separately, and in 1993 Palacios discovered that using the older classes of Spanish vines planted in the Priorat produced some very special wines, and these vines were recovered. In 2000, the Catalan government decreed that the DO Priorat should be raised to DOCa (qualified designation of origin) status because of the uniqueness and quality of their wines, which were reaching wordly fame. The only other DOCa in Spain is Rioja. The Priorat wine region is located in the center of the Tarragona province, surrounded by mountains. It has a very accidental relief and the vines are planted in terraces around the 600-3300 feet of altitude. The climate in the area is mainly Mediterranean with continental influences, with cold northern winds and warmer east winds like the Mistral. Spanish summers in the Priorat wine region are long, hot and dry, while winters are quite cold, with risk of frost, hailstorms and ever drought. Reserva: must remain in oak barrels for 12 months and then 24 months in the bottle. Gran Reserva: must remain in oak barrels for 24 months and then 36 months in the bottle.